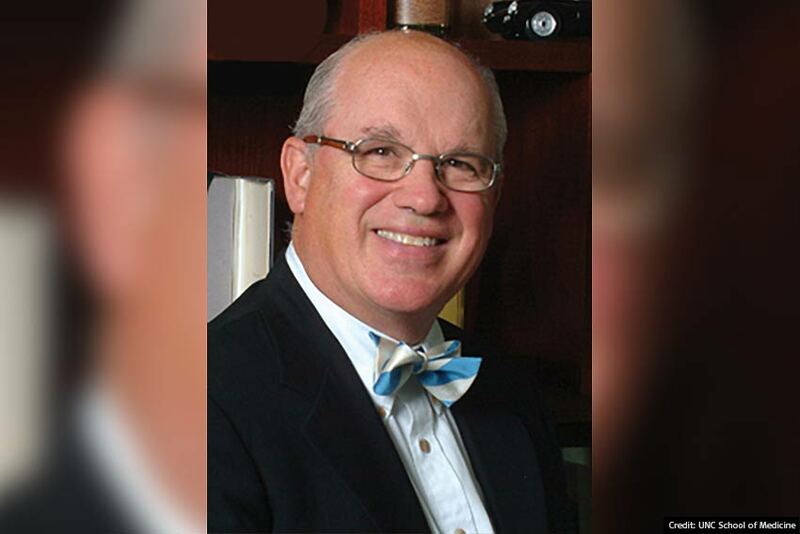 Harold Pillsbury, MD, Chair of the Department of Otolaryngology/Head and Neck Surgery, University of North Carolina School of Medicine performed the first SYNCHRONY cochlear implant surgery in the USA in 2015. Read what he thinks about a main feature of that implant: its exceptional MRI safety. Over your career you have performed more than 1,500 cochlear implant surgeries. How often do you encounter a patient who is concerned about the need for future MRI? Has this increased over the years? Well, these days it’s a fairly large number. Elderly patients come in with existing problems in their spine, knees, and shoulders and they are in a position where they’re going to need to have an MRI in these parts of the body. People need to understand that even if they get an MRI in a part of their body away from their cochlear implant, the internal magnet still comes into play. Cancer is another area where MRI compatibility is a concern. With abdominal, breast, and thyroid malignancies, MRI is a good imaging tool to diagnose and follow a patient post-treatment. You’d hate to have someone be deaf and have to choose between hearing and monitoring their disease. Has the number of older adults seeking cochlear implants increased? Do you expect this to increase? Yes and it will. Cochlear implant technology has also improved, which has helped in terms of acceptance. This has provided baby boomers with a great opportunity to stay in the mainstream in terms of social interactions. We now implant more adults than children, which wasn’t always the case. Why is a 3.0 Tesla (3.0T)-safe cochlear implant so important for recipients today? The biggest reason is that 3.0T MRI is so much more sophisticated than other diagnostics. The information that you can get from 3.0T is higher in terms of clarity; the high-definition provides a much clearer image. If you’re going to get an MRI and have a choice, I think that 3.0T is a great option. 3.0T is the gold standard. Why is a 3.0 T-safe cochlear implant so important for recipients in the future? Because of the definition that you get from the high magnet strength in terms of a clearer image. A shoulder, knee, or spine image can be fuzzy with a 1.5T machine. With that said, 1.5T is still what many people are getting today. We’re not going to replace a perfectly functional implant to go from one MRI strength to the next. This is more of a consideration for children who are going to live through several implants. Over the course of their life, I believe the chance is close to 80-90% that they will need to have an MRI for one reason or another. For that reason, MRI compatibility – at any strength – is a huge advantage for CI users. What benefits do high-resolution (i.e., 3.0T) MRIs have? Was this a deciding factor for the first SYNCHRONY patient in the USA who was implanted by you in 2015? Again, higher clarity and resolution are the main benefits. Whenever you get an image, you look at the anatomy of a specific area and 3.0T simply does that better than 1.5T. Joe (the first SYNCHRONY recipient in the USA) had a lot of issues with his back; we knew that was going to need future MRIs. With Joe, the need for future MRIs was not a question, but a certainty. SYNCHRONY was his first cochlear implant. He might not have wanted to get a cochlear implant in the past because of the MRI issue, but with the new implant, he didn’t have to choose between hearing and addressing his back problems. SYNCHRONY user Joe Long was implanted a few years ago by Dr Pillsbury. Find out why MRI safety is important to him. Rehab At Home: How Can I Teach My Child About Thoughts And Feelings?